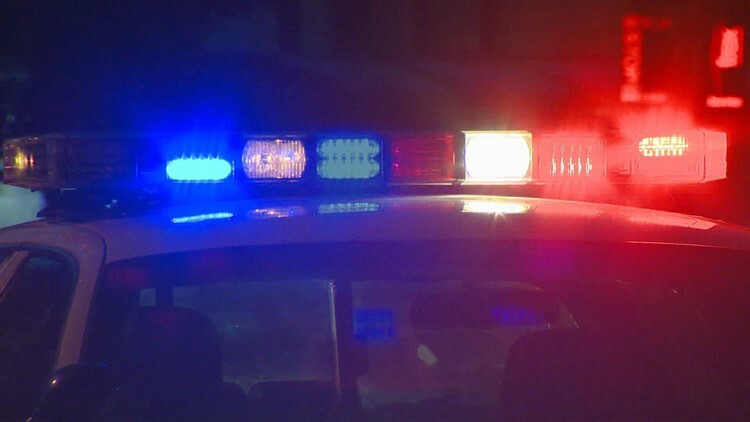 Twice in the past week, Amber Alerts were issued in the Western New York region for alleged child abductions with a common theme: teen girls apparently engaged in some kind of intimate relationship with a grown man. While pop culture may sometimes romanticize the idea of a precocious, mature teen (often a girl) who is well-equipped to handle a relationship with an adult, child advocates say parents and others need to know there is no such child. "That girl does not exist," said Deb Rosen, Executive Director of the Bivona Child Advocacy Center in Rochester. "Nothing in life prepares a tween or teen to be sexual or intimate with an adult on their own terms. They just do not have the capacity for insight, self-regulation and judgement." On Tuesday, Rochester Police located 41-year-old felon Robert Gonzalez in New York City with a 14-year-old girl he allegedly abducted Saturday from Lasalle Street. Last Thursday, 22-year-old Guillermo Torres-Acevedo of Batavia was located in Pennsylvania with a 14-year-old Byron girl he allegedly took from her school earlier that day. Both cases sparked state-wide manhunts and Amber Alerts, which reported that the girls were in "imminent danger of serious harm and/or death." Charges against Gonzalez and Torres-Acevedo related to the Amber Alert cases have yet to be announced, but Torres-Acevedo had been arrested and charged on Dec. 3 — just three days prior to the alleged abduction — with criminal counts related to having a sexual relationship with a girl under 15 years old. Rosen said she could not speak specifically about either of those cases, but said any time a person over the age of 18 is involved in a sexual relationship with a person under the age of 18, that relationship is not only illegal, but has the potential to create lifelong problems for the child. "And anytime a person who is fully adult in their own development and logistics of life who seeks out an adolescent partner is not someone who is seeking an equal partner," she said. "They are seeking out someone over whom they will have significant power and control. Parents should see this as an outright threat to the health, safety and well-being of their child." Numerous studies show the long-term effects of childhood (and adolescent) sexual abuse include higher probability of depression, homelessness, suicidal thoughts, anxiety, eating disorders, drug abuse, self-blame and lasting difficulties forming and sustaining healthy relationships. "Teens and tweens are enormously susceptible to influence and power and control," said Rosen. "Anyone who knows a tween or teen knows full well their identity is in flux they are seeking approval from adults, seeking confirmation that they are mature and prepared for adult life. But the truth is that they are not mature, they are not prepared for adult life and anyone who attempts to rationalize a relationship between an adult and a child is rationalizing illegal behavior." For parents, the stakes of knowing who is involved in your child's life couldn't be higher, she said. And that might mean having some of the most difficult, embarrassing conversations of your life. "This is a tough one for parents," said Rosen. "I think there's a common belief that this sort of thing only happens if kids are in a broken home or that only kids who are disconnected from their parents are vulnerable to this sort of thing, but that's not true. "This is a complicated point: even children with trusting, close relationships with adults are vulnerable to this, because children are vulnerable to this." Parents — even of kids who display good judgement — need to find ways to have visibility in their children's personal lives, and a presence in their social media life and activity. This could include transparent solutions like having the child's passwords and being their friend on all social media, or less transparent solutions like keystroke logging software. Parents need to be relentlessly raising questions with their children about who they're with and who they're talking to. They need to be asking uncomfortable questions, waiting out the uncomfortable silences and be willing to let their child be very, very angry with them. If a parent has suspicions that a person is cultivating a relationship with their child, they need to put their own discomfort aside and have a conversation with the person they think is involved. And, if it comes down to it, they need to contact law enforcement. "The thing about sexual abuse is not only that people don't understand how common it is, but they also don't understand how devastating the impacts of childhood sexual abuse are," Rosen said. "Adults need to be aware that sexual abuse is vastly harmful, and by stepping in, they are protecting kids from something vastly harmful and I think every parent wants to do that. "Parents wouldn't think twice about jumping in front of a moving car if they thought they would save their child, and this really is the same thing."